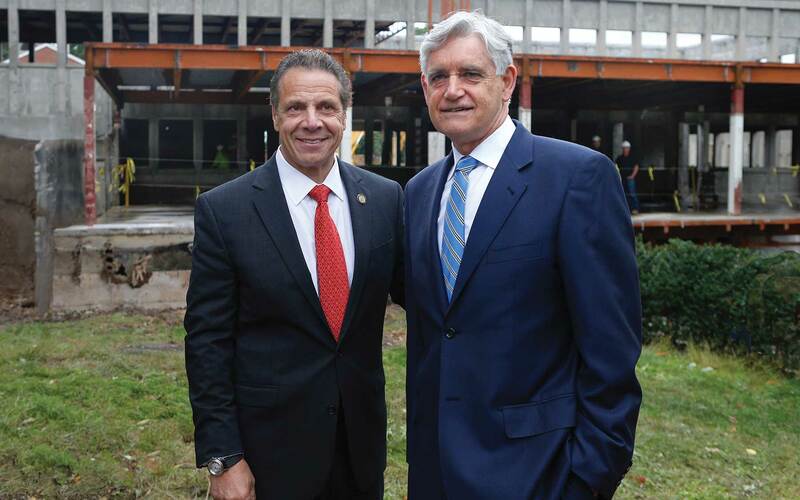 Flanked by a who’s who list of Long Island elected officials and economic development colleagues, the Governor headlined the ground-breaking for the renovation of the historic Demerec Laboratory. To be completed by the end of 2018, the facility will be the nucleus of a $75 million CSHL initiative to advance therapeutic development for breast cancer, leukemia, autism, obesity/diabetes and lung cancer. New York State is providing a $25 million grant toward infrastructure for the initiative called the Center for Therapeutics Research (CTR). 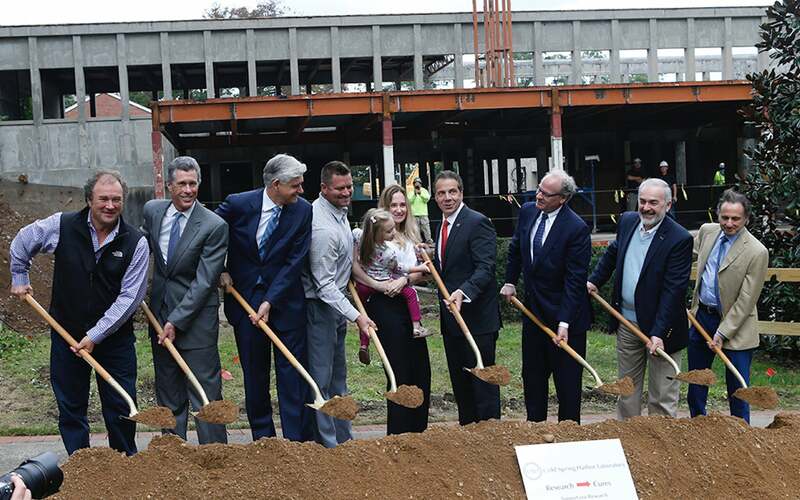 “New York is a leader in next-generation technology and sciences, and with the ground-breaking of the new Center for Therapeutics Research in Cold Spring Harbor, we are supporting developments in research and medicine that will save lives,” Cuomo said. “The Center will create new jobs, broaden our understanding of medicine and treatment, and secure Long Island’s place as a hub for life science research that will support a stronger, healthier New York for all,” said Cuomo. “With the help of Governor Cuomo, Senator Marcellino, and our public and private sectors, Cold Spring Harbor Laboratory (CSHL) will continue to transform the way basic science research is done, searching for answers to science’s most important challenges and that will positively change the lives of children and adults suffering from disease,” said CSHL President & CEO Bruce Stillman.